Here are a few of my favorite Christmas videos. They include an eclectic mix of Cloverton, the Trans-Siberian Orchestra, an unlikely duet sung by Bing Crosby and David Bowie, and Casting Crowns. Watching the instruments being played really enhances the effect of the song. I used to have the videos embedded in this page for easy viewing all in one place, but each year on some of them I have to go find new hosting location because the previous year's had been removed. This time I am just linking to the YouTube (and other) web pages. 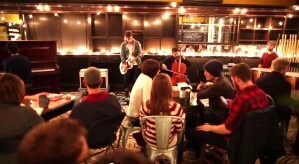 My favorite new Christmas music video, titled "A Hallelujah Christmas," is by Cloverton. You might recognize the music adapted from Leonard Cohen's "Hallelujah." These two videos produced and performed by the Trans-Siberian Orchestra have become very popular on the Internet as well as on DVD. We have the special Christmas DVD that has these two videos as well as others from some of their concerts. "Christmas in Sarajevo" is a theme in the passage and urgency of time - my favorite subject. "Canon in D" is their rendition of Pachelbel's Canon; it is amazing. It was on September 11, 1977 that David Bowie and Bing Crosby joined together at the Elstree Studios in London, England. 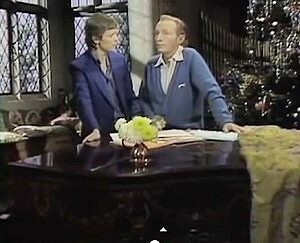 Crosby was there to tape what would prove to be his final Christmas TV special (he died on October 14, 1977 — 33 days after taping the duet) and he invited Bowie to appear as a guest star. Christmas songs with kids voices in the background are some of the finest in my opinion. 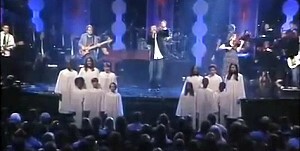 This song titled ,"I Heard the Bells on Christmas Day," by the group "Casting Crowns," is a great example. Enjoy.